Track soldering doesn’t have to be difficult. 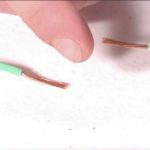 Watch this tip-packed video for trouble free track soldering the easy way. Securing the wiring down while soldering. 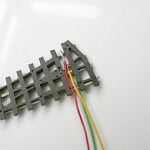 Although this technique is much easier it’s not fool proof – you won’t always get perfect electrical connection between the rail joiners and track – so if you’re looking for perfect results, especially for DCC layouts, soldering direct to the track rails is still the better solution. 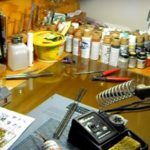 Read this rail track soldering tip if this is what you have in mind and see my in-depth guide to soldering for even more tips. So simples, why doesn’t everyone do it this way? 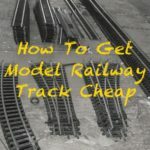 If you’ve got any tips, share them to either via Twitter @modelrailwayeng or as a comment below. Working on the D.H.R. 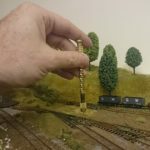 layout (HO gauge).Broke turnout recently while taking out, great tips ,thanks a lot. Good tip but would someone please explain to our American cousins that there is a L in solder! Am I the only one that this grates on? I didn’t know you could SODA a connector …. ……………………..
………………where was the SODA ? 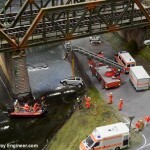 i only saw the soLder!………………………. perhaps they join the army as SODA’S..!! ha ha!…..I wonder how it all started..?